It’s the most wonderful time of the year with waves of holiday spirit, seas of trees and twinkling lights during SeaWorld’s Christmas Celebration™. Select dates starting November 21, guests will enjoy this wintery, watery wonderland and entertainment inspired by the natural world and holiday cheer. Guests can journey to the North Pole on THE POLAR EXPRESS Experience where they can meet the jolly Santa Claus. With holiday treats from Santa to Shamu®, presents to penguins, and elves to Elmo, SeaWorld’s Christmas Celebration™ is where holiday memories are made. The Christmas celebration takes place Nov. 21-22, 27-29, and Dec. 4-6, 11-13, 18-31. Shamu® Christmas Miracles – Experience the power and beauty of the Shamu family in this nighttime holiday show. Set to majestic seasonal music, the show features killer whales in a story of peace, friendship and the everyday miracles that surround us all year long. 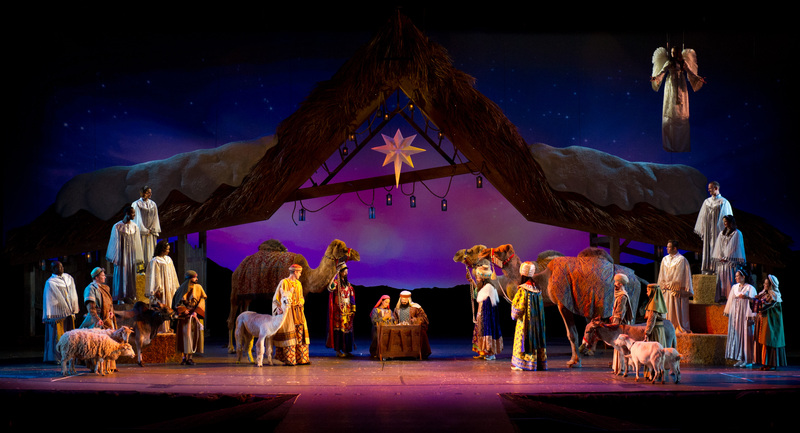 O Wondrous Night – Hear the classic Christmas story as told through the eyes of the animals. With more than 30 carols, life-size puppets and a live nativity, this show will charm, entertain and delight. This must-see show has become a family holiday classic for all of our guests. THE POLAR EXPRESS Experience – Now boarding! It’s a wondrous journey to the North Pole aboard THE POLAR EXPRESS. The beloved holiday classic comes to life as you and your family are immersed in the heart-warming story of a young boy’s thrilling ride into an enchanted world. The sights, sounds, and scents of the season surround you. From the moment the conductor calls “all aboard” to your arrival at the North Pole (where you’ll meet Santa Claus himself), THE POLAR EXPRESS Experience promises to create an unforgettable holiday memory. Elmo’s Christmas Wish – Sesame Street® friends have come to SeaWorld® Orlando for a festive holiday musical celebration. Join Rosita, Grover, Zoe, and Cookie Monster as they work together to help Elmo find his Christmas wish! Winter Wonderland on Ice – Christmas glistens on a stage of ice, jewels and light as skaters dazzle and delight in this show-stopping, ice-skating extravaganza. In addition to graceful skaters, the show also features towering fountains of water and a sea of lighted trees sparkling over the lake. It’s a don’t-miss experience for the holidays that will take your breath away. Sea of Trees – Take a walk through our wintery, watery wonderland. 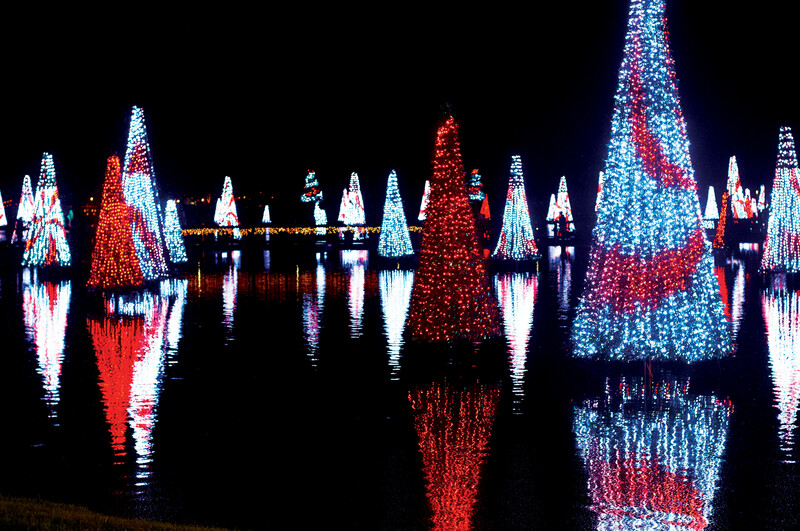 This glistening forest of more than 100 Christmas trees sparkles to music and lights up the water. The Christmas Village – Artisans, festive entertainment and delicious culinary delights create a bustling market that lines Bayside Pathway. Guests can discover one-of-a-kind gifts, enjoy scrumptious holiday treats, encounter playful elves and holiday characters, sing-a-long with musicians, and marvel at a charming model train village. It also is the perfect spot to view the Sea of Trees display, relaxing near the warm glow of the fire pit and sipping a holiday craft brew. Reserved Show and Dining Package – Guests can enjoy a Christmas Celebration Reserved Seating Package. This package provides a reserved seat at all three of our popular Christmas shows, plus a dining certificate to use that evening at any participating restaurant. 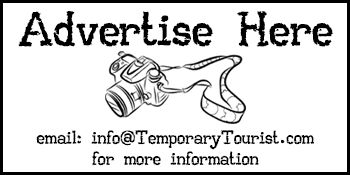 Shows included are: Shamu Christmas Miracles, O Wondrous NightTM and Winter Wonderland on Ice. Packages start at $24 per person. Plus, park guests are invited to enjoy a dinner of Christmas favorites with Santa and Mrs. Claus during Santa’s Fireside Feast. This charming feast offers an all-you-care-to-eat menu of holiday favorites and delicious desserts, and provides an exclusive time to meet Santa and receive a complimentary family photo. The feast starts at $29 and takes place on select dates during SeaWorld’s Christmas Celebration™. Reservations are required and can be booked at SeaWorldOrlando.com. 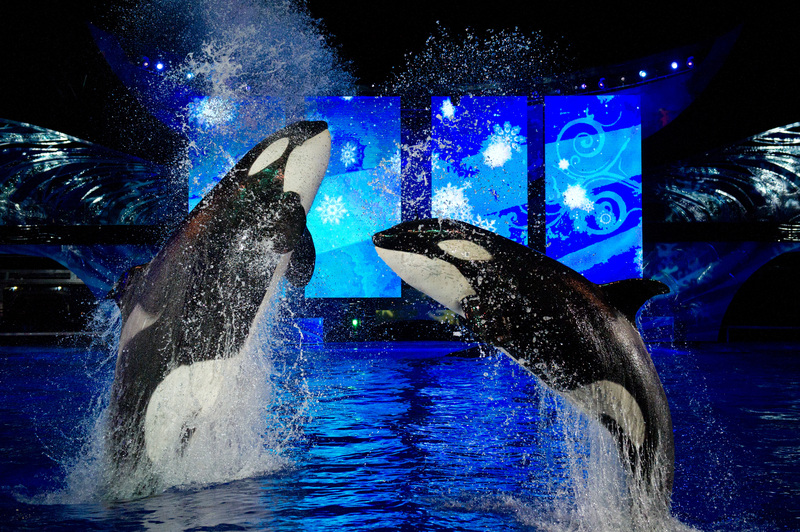 New Year’s Eve – Families can ring in the new year at SeaWorld on December 31. At the stroke of midnight, the evening sky will shine even brighter with a vibrant fireworks show to celebrate the festivities. The best way to experience SeaWorld’s Christmas Celebration is with an Annual Pass offering unlimited general admission and free parking all year long. Florida residents can purchase an annual pass with EZPay, a convenient payment option starting at $13 per month. Pass holders can enjoy a variety of other perks, including discounts on food and beverage and savings on admission to Discovery Cove.